If you need a cleaning of the flat or house you rented, because you decided to leave,you can safely choose us to do it for you. The end of tenancy cleaning service, that our company offers is exactly what you need to end it on good terms with your landlord. We are always ready to help another client! For almost a decade now, we are buzzing around Chelsea and cleaning different residences every single day. For the time passed, we’ve learned everything needed to do our job perfectly. 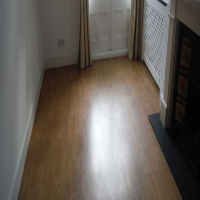 The end of tenancy cleaning service is a great deal you can make with us. We guarantee you that you will win a perfectly clean place, but also the full refund of your deposit money back. The property will be thoroughly cleaned and ready for the next tenants. Our prices are low and fixed, but most of all – tempting. You might as well take advantage of these hot offers and make your life simpler. The booking is fast and easy, even a child can do it! The time we need to clean any place depends on its size and how dirty the surfaces are. These are just words for us, because we do our job very attentively under any circumstances. At the end of the service the windows will be wiped, the floors will sparkle, there will be no sign of fingerprints or watermarks on the surfaces. The place will look like nobody lived there! Our end of tenancy cleaning service definitely guarantees you that you will get back your deposit money. For that purpose we offer an oven cleaning service, which is our great plus. If your landlord looks around the kitchen and decides to check the oven – it will be sparkling clean. He will have nothing to say, and will just smile. It’s not only the oven and the kitchen, though. Every single room will be perfectly cleaned, from the floors to the shelves. No dust, no dirt, no grime. Every glass or metal surface will be polished, too. And don’t you worry about the bathroom and the toilet areas – they get to be thoroughly cleaned, too. If you have been cleaning on your own, you know that Chelsea offers a great variety of choices of cleaning products. We know that, but most of them are based on chemicals, some of them on toxins. However, we don’t use those kinds of products – we use only eco-friendly cleaning helpers, which are in no way harmful to your health or the nature around you. We have more natural ways to remove stains and dirt, than just using chemicals. We are proud of our arsenal of cleaning tools and machines. They are modern and advanced in the cleaning area of business. We have the proper tools, but we also have the knowledge how to use them in the different cleaning problems that might occur. You can see for yourself that our service is not expensive. The plus side is that we work with our own detergents and machines and we will not charge you any extra fees for those! Another plus for our prices is that they are fixed and are changed only according to the size of the property. The biggest advantage in our cleaning methods is that we work with the best cleaning professionals in Chelsea but also in Vauxhall, Wandsworth and Wimbledon. They work carefully, attentively and can openly answer to your questions. They will be efficient even if you call in a short notice and will deliver the best end of tenancy service that you can hope for. Another best thing that our company offers is the opportunity to call for our services on the weekends, too. We know you have busy weekdays and we want to be available to you when you have the time! Don’t wander around Chelsea looking for help or buying expensive cleaning tools. The answer is in your hand – take your phone and dial our number and Voila, you got yourself the best end of tenancy cleaning ever! Give us a chance to prove you that we are definitely worth it and you will not regret calling us!